Meinl Byzance Mike Johnston Set cinele,include 14" byzance extra dry medium hi-hat, 20" byzance extr..
Meinl Byzance Sand Benny Greb Set cinele,include 14" byzance sand hat, 18" byzance sand thin crash s..
Meinl Classics Set cinele,include 14" medium hi-hat, 16" medium crash si 20" medium ride. ..
Meinl Classics Custom Set cinele,include 14" medium hi-hat, 16" medium crash si 20" medium ride. ..
Meinl Classics Custom Extreme Set cinel,include 14" hi-hat, 18" crash si 20" ride. ..
Meinl Generation X The Rabb Pack Set cinele,include 12" safari hi-hat, 16" safari crash, 18"safari r..
Meinl GX-TB 14/17/18 Thomas Lang Set cinele,include 17" kompressor crash, 18" kinetik crash, 14" fil..
Meinl GX-TB1416/18 Thomas Lang Set cinele,include 16" synthetik crash, 18" signal crash/klub ride si..
Meinl HCS Standard Set cinele ,include 14" Hi-Hat,16" Crash si 20" Ride. ..
Meinl HCS Starter Set cinele,include 14" Hi-Hat si 16" Crash. ..
Meinl HCS Starter Eco Set cinele,include 14" Hi-Hat si 18" Crash/Ride. ..
Meinl HCS Super Set cinele,include 14" Hi-Hat, 16" crash, 18" crash, 20" ride, 16" china si 10" Spla..
Meinl HCS Ultimate Special Set cinele,include 14" hi-hat,14" crash,16" crash,18"crash,14" china,20" ..
Meinl HCS1314 Set cinele,include 13" Hi-Hat, 14" Crash si 10" Splash . 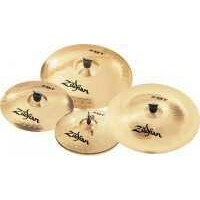 ..
Meinl Mb10 Standard Set cinele,include 14" medium soundwave hi-hat, 16" medium crash si 20" medium r..